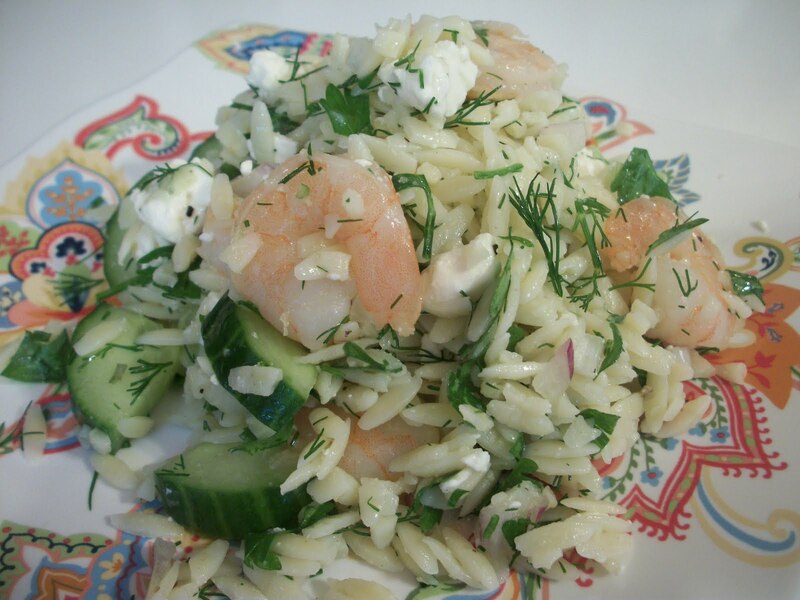 This is a delicious, light dish perfect for summer. It can be served as a main dish or as a side. 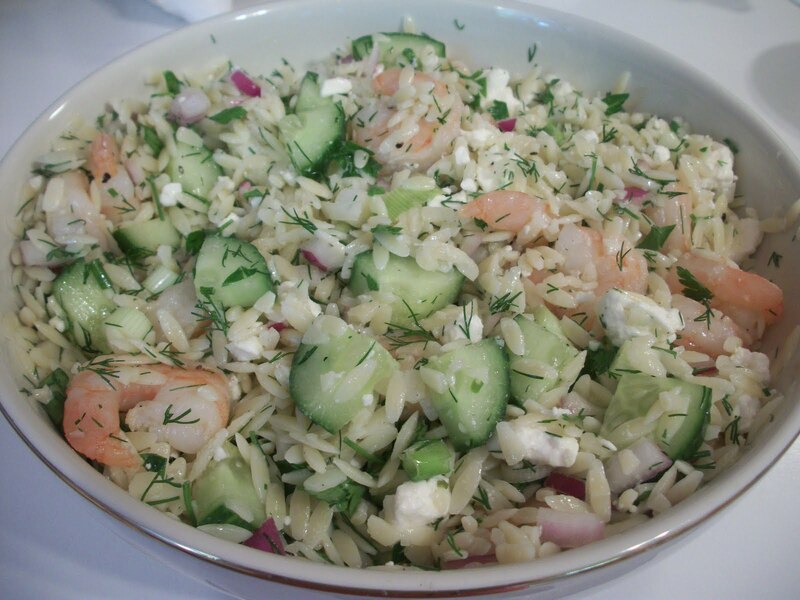 The flavors of dill, parsley, 2 kinds of onion! 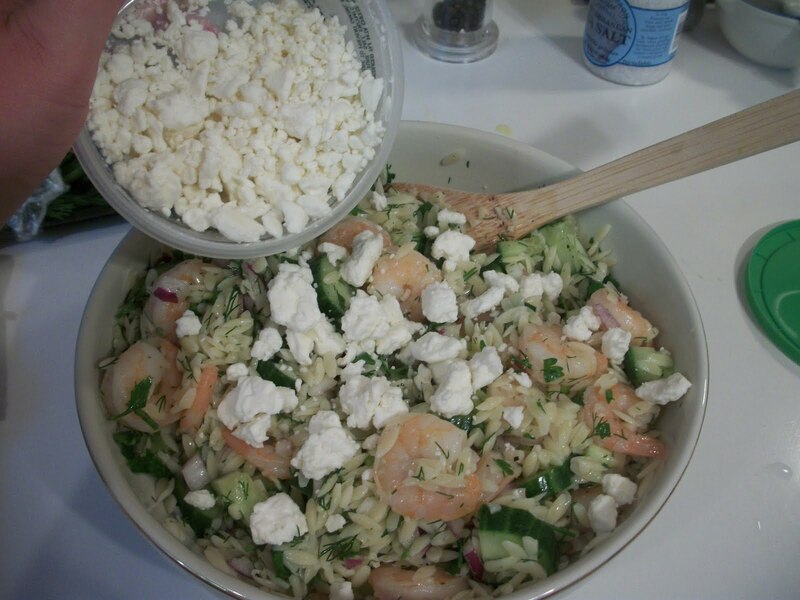 and feta pair well with the shrimp and pasta and the cucumbers add a nice crunch to an otherwise soft texture. 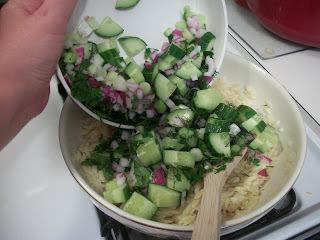 This gets better with time - the flavors meld together as it sits - so plan to make it the night before you'll serve it. 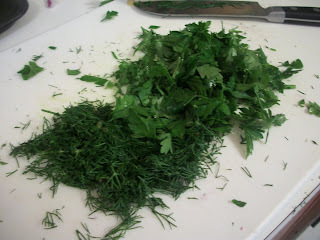 Chop the herbs and vegetables. 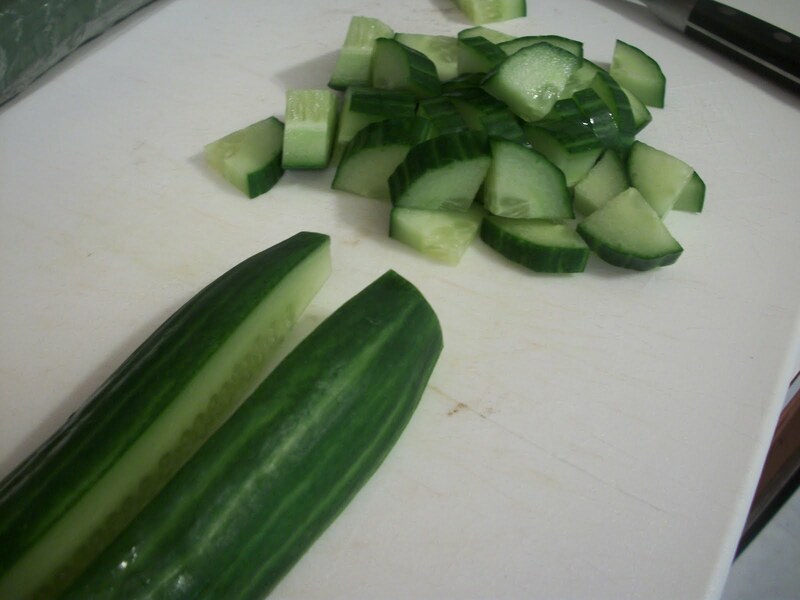 I like to quarter the cucumber, then slice. 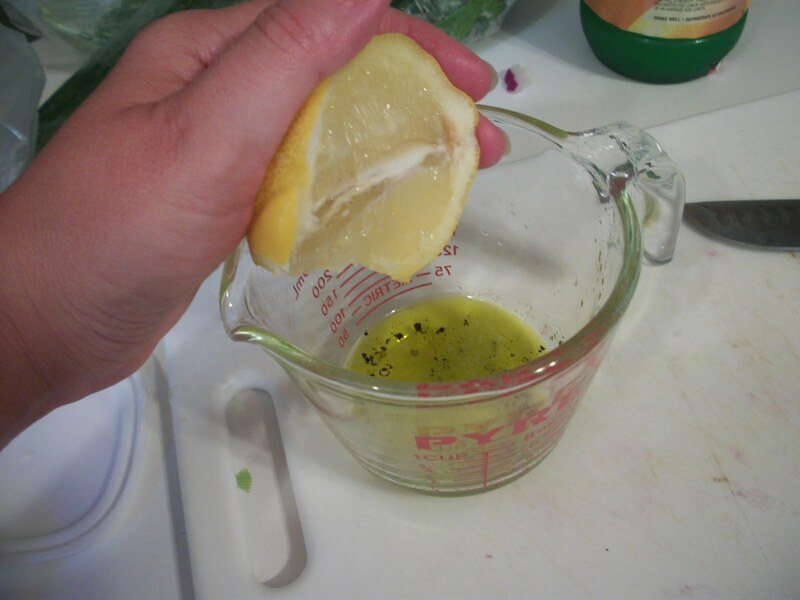 Make the dressing by combining the olive oil, salt, pepper and lemon juice. Whisk well. 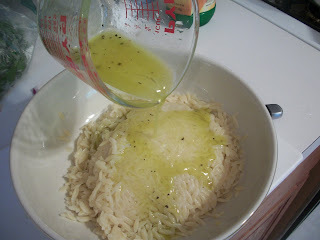 Drain the orzo and transfer to a serving bowl, then pour the dressing over the pasta. Stir well to coat the orzo, then add the vegetables and herbs. 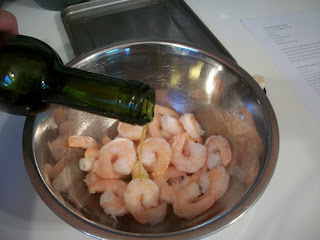 Stir again, then add the shrimp. then stir gently to combine. Let stand for at least an hour at room temperature to let the flavors meld. Alternatively, refrigerate overnight, and then bring to room temperature before serving. Find more great stuff at Turning the Table Thursday, It's a Keeper, Full Plate Thursday, Recipe Swap Thursday, Pennywise Platter, Fresh Food Friday, Friday Food, Foodie Friday, Food on Fridays, Foodie Friday (#2), Friday Potluck, Fun with Food Friday, Let's Do Brunch, The Sweet Details, Menu Mondays, Savory Sunday. Add the orzo to a large pot of salted boiling water and simmer for 7 to 10 minutes, stirring occasionally, until al dente. Drain and pour into a large serving bowl. Whisk together the lemon juice, 1/4 cup olive oil, 1 tsp. 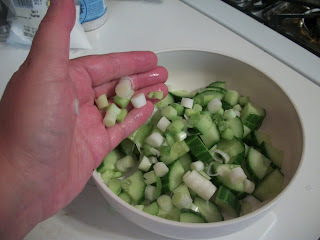 salt and 1/2 tsp. pepper. Pour over the hot pasta and stir well. Meanwhile, place the shrimp in a small bowl and drizzle with 1 tsp. olive oil. Sprinkle with salt and pepper to taste. 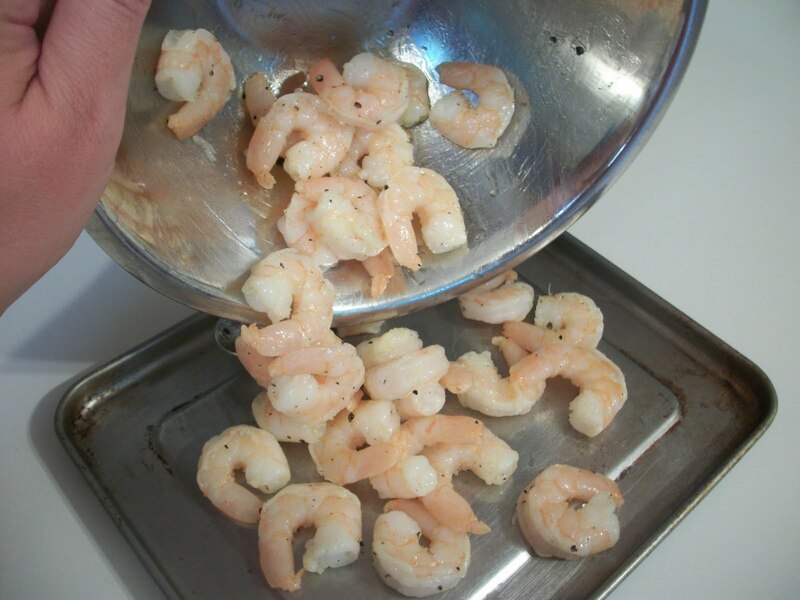 Toss to combine and spread out in a single layer on a baking sheet. Roast at 400 for 5 minutes. 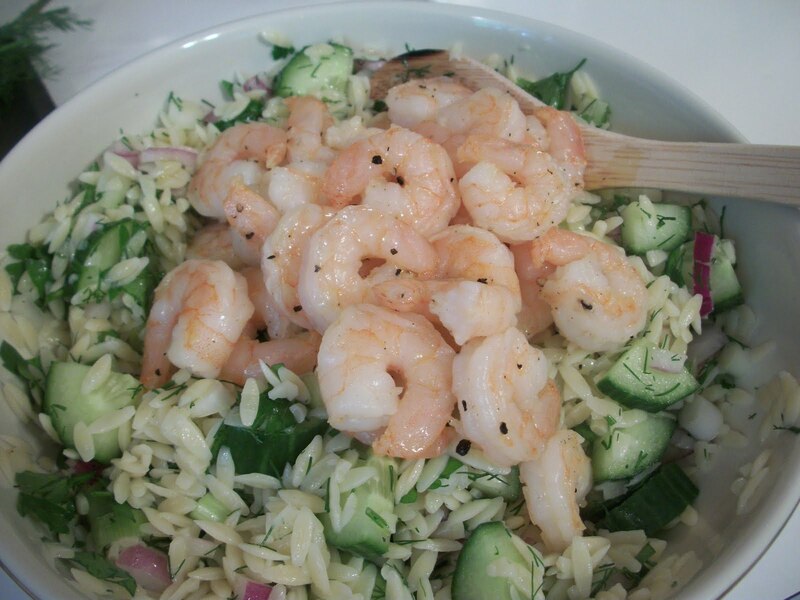 Add the shrimp to the orzo and then add the green onion, dill, parsley, cucumber, onion, another tsp. salt, and 1/2 tsp. pepper. Toss well. Add the feta and stir carefully. Set aside at room temperature for 1 hour to allow the flavors to blend, or refrigerate overnight. If refrigerated, taste again for seasonings and bring back to room temperature before serving. Serves 4 as a main dish. Thank you so much for sharing on Momtrends. I love checking out all the Friday Food submissions. I love that I could get all these ingredients at the farmer's market (besides the shrimp) Have a great weekend and thanks for sharing. What a wonderful summer salad. Your salad could be my whole meal, it looks delicious. Thank you so much for sharing with Full Plate Thursday and hope to see you next week. Have a great week end! This looks delicious and will be a "must try". What lovely flavours, and those shrimp look so good. I am a big fan of orzo, but I have never used it in a salad before. I can't wait to try this! Thank you for sharing it with Let's Do Brunch. Featured Blogger at Food "E" Friend Monday!